+ 2016: Advent in America: Politics and Baptism. + 2016, Beauty, Hope, and Repentance. + 2013, Too Content to Repent? + 2013, Expectations, Prisons, and Jailbreaks. + 2010, Recognizing the One Who is to Come. + 2013, Scandals, Wombs, and Emmanuel. + 2010, The Scandal We Long For. Please note: my Day Off is Friday. Thank you, Fr. Richard, for reading my blog. 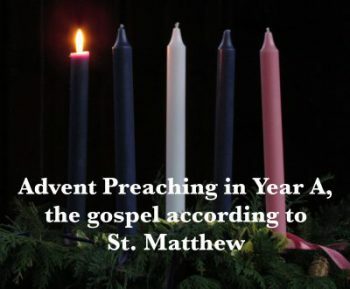 May this Advent season of hope and expectation bless you and you congregation.